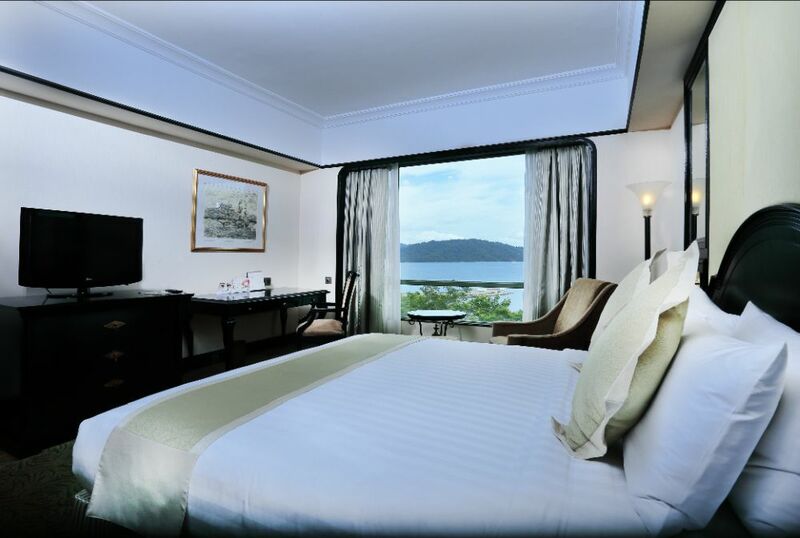 The luxurious 5-star The Pacific Sutera Hotel in Kota Kinabalu features 500 immaculately appointed rooms and suites with contemporary décor and dramatic views of either the sprawling golf course or of the sea and nearby tropical islands. The grand entrance and high-ceiling lobby lounge offer an uninterrupted, panoramic view of the ocean and are a popular meeting point for leisure and business travellers. 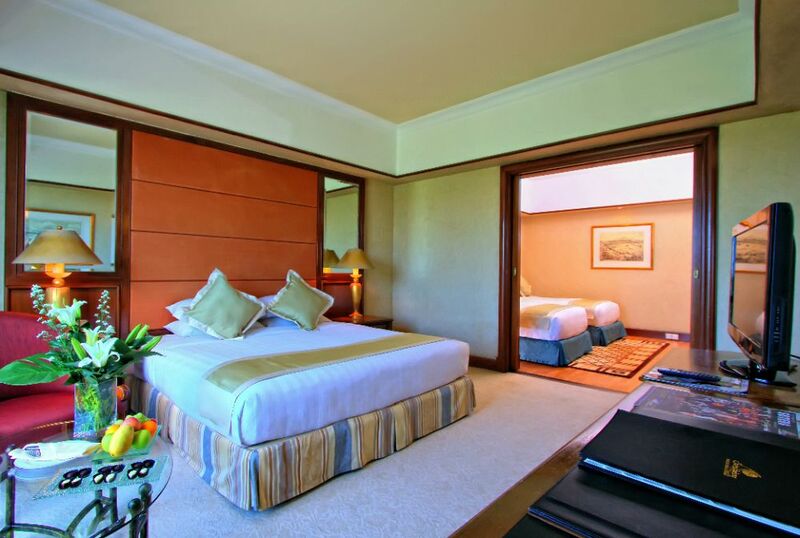 The villa types are classified into Deluxe Room, Junior Suite, Executive Suite, Pacific Club Suite and Presidential Suite. Each elegant accommodation is fully air-conditioned, built with a private toilet and bath with shower and tub. 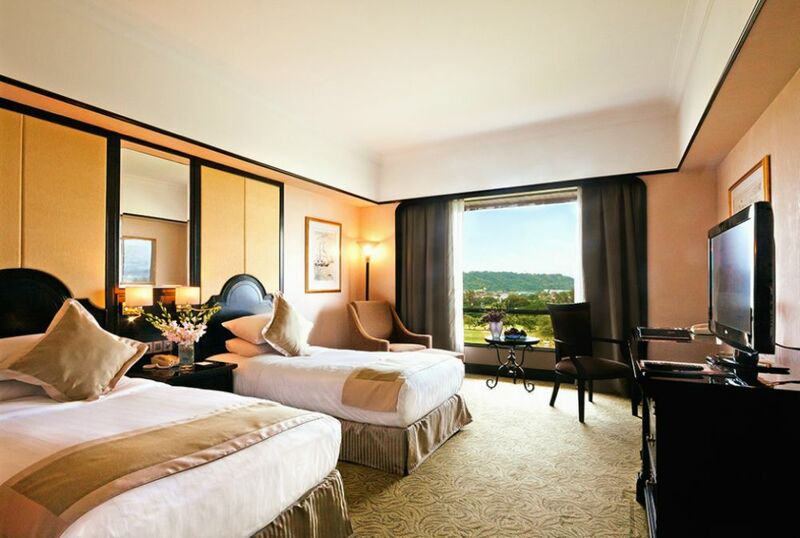 A panoramic view of the undulating golf course is just the foreground of the sweeping vistas from our deluxe golf view room. 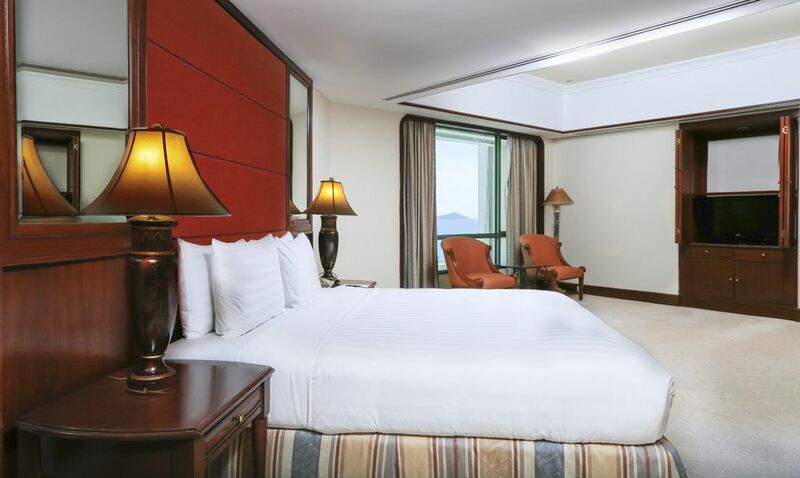 Spacious and elegant, this is The Pacific Sutera Hotel’s favourite room type provides all the comfort and luxury you can wish for from a 5-star resort. 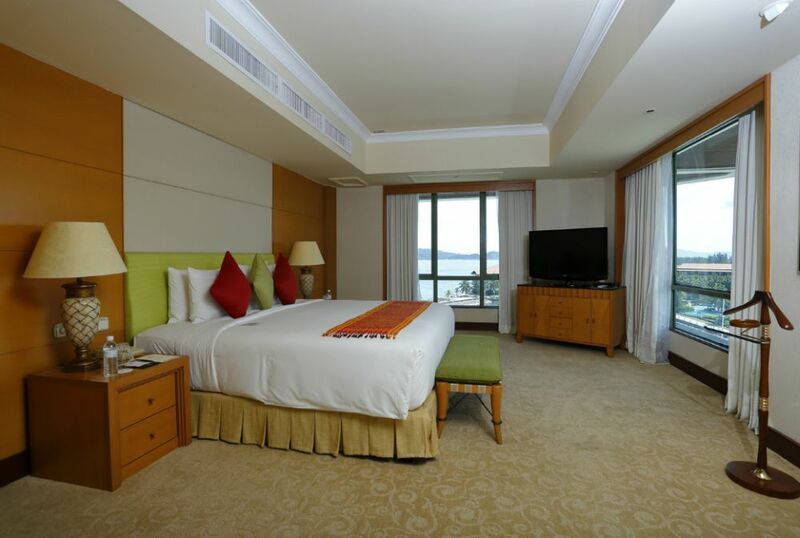 Sweeping views of the South China Sea, Manukan Island and the other islands of the Tunku Abdul Rahman Park is standard with our deluxe sea view room and renowned Sabah sunsets that will leave you speechless to crown your day and light your night. Perched the club floor, the Pacific Club golf view offers of the green fairways below and towards the crockery range mountains with Mt. Kinabalu on the horizon. 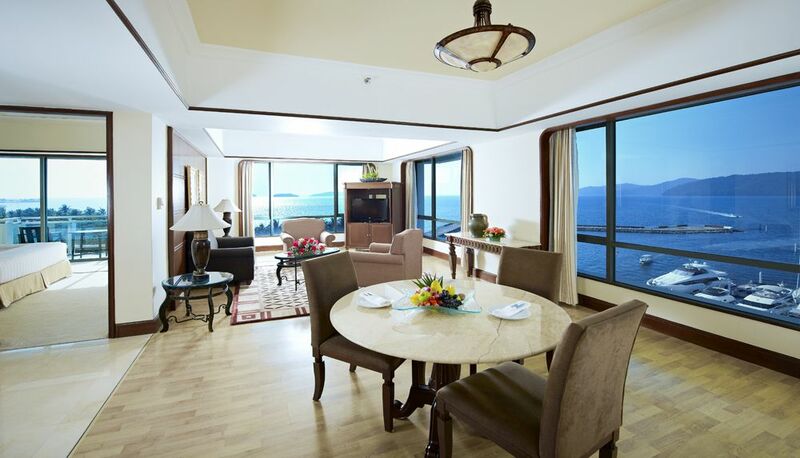 Be in awe with a spectacular view of the Sabah sunsets from a Pacific Club Sea View room. With sweeping vistas that include the pool and landscaped gardens below, stretching out over the sparkling south china sea spread out between the islands of the marine park. 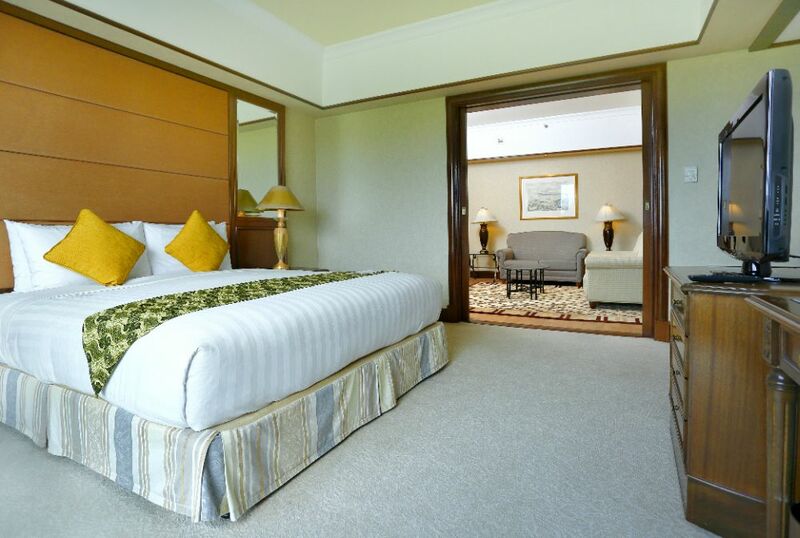 The Family room accommodates a family of four with one king-sized bed and twin beds, facing the panoramic view of the undulating golf course. 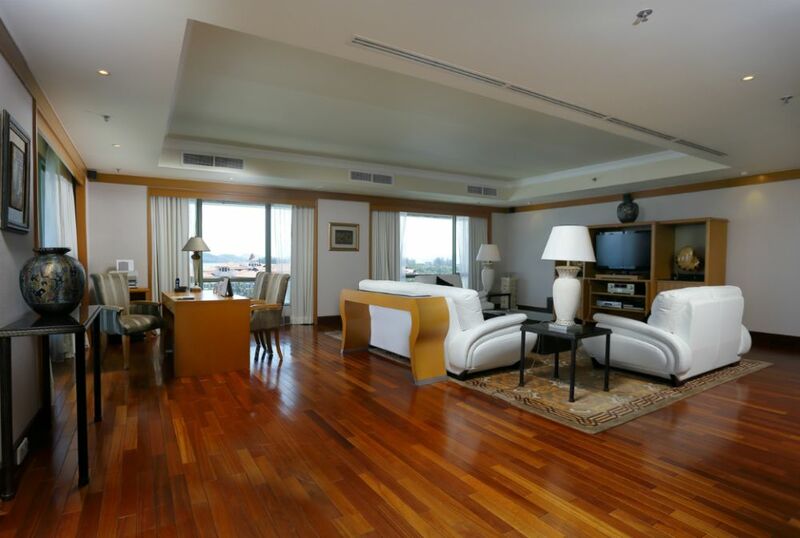 Exquisite luxury with spacious living areas and sweeping views is what the junior suite is known for. If space is the ultimate luxury, the junior suite is the ultimate accommodation, stylish and luxurious, for an enchanted holiday. For the discerning traveller or earnest businessman or woman that demands the ultimate, the pacific club executive suite is the only choice. Elegant and stylish comfort is the focal point. Beyond 5-star luxury, beyond top class exclusivity and beyond the luxury reserved for the elite few lies the Pacific Sutera presidential suite. Expansive living areas, unimaginable comfort and stylish, presentation overlooking both the marina and south china sea, is the trademark of the Pacific Sutera's most exquisite accommodation option. 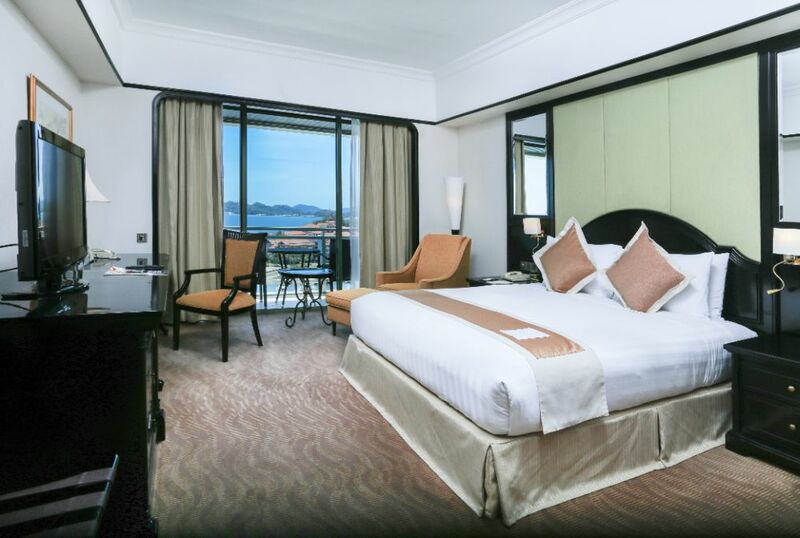 The Pacific Sutera Hotel enjoys a private and exclusive beachfront area overlooking the South China Sea and its tropical islands of Tunku Abdul Rahman Marine Park. A great spot to enjoy a favourite drink in hand while catching the majestic sunset while on holiday in Kota Kinabalu, Sabah. 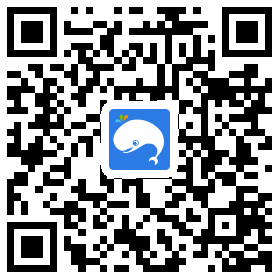 For your convenience, there is a well-known company, SeaQuest Tours, located at our marina jetty which provides island hopping packages, snorkelling and diving trips, as well as water sports such as jet-skiing and more, all at an additional charge. The boats leave from the hotel’s private jetty. Fitness Centre at The Pacific Sutera Hotel comes equipped with workstations, treadmills and free weights. Provides hair and nail care services as well as brand name hair care products. Trained and experienced consultants are equipped to fulfil all your grooming needs. The spa offers two double suites, one double room, five single rooms and two sea-facing outdoor spa pavilions. Chavana Spa’s range of signature body treatments, facials and packages are inspired from the freshness of a Balinese garden at The Pacific Sutera Hotel. 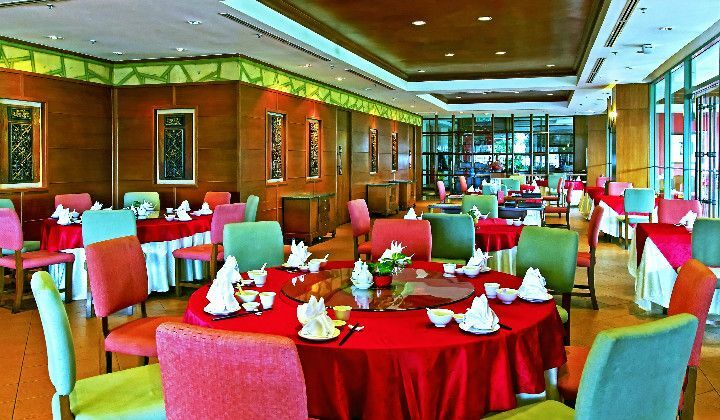 Silk Garden Chinese Restaurant was featured in Malaysia Tatler’s Best Restaurants list of 2009. 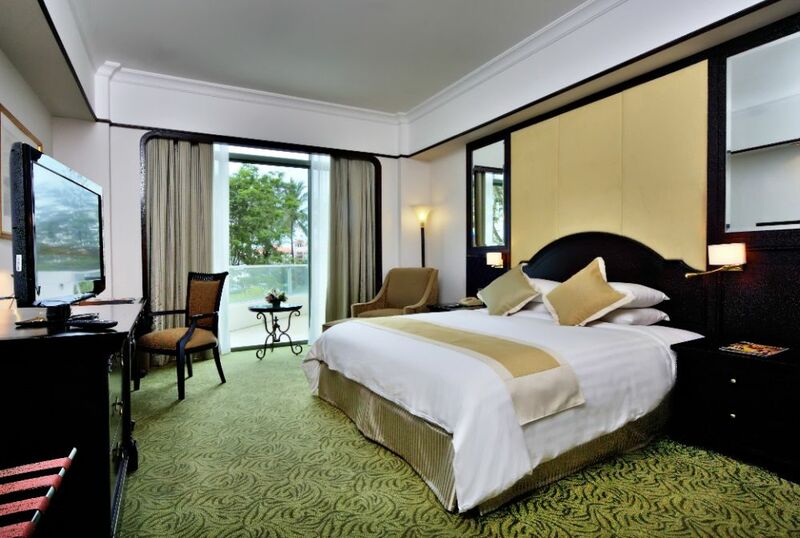 Located next to the tranquil gardens and landscaped ponds of The Pacific Sutera Hotel, the restaurant enjoys fabulous views of the yachts by the marina, the swimming pool, swaying trees and the South China Sea against a picturesque backdrop of the islands of the Tunku Abdul Rahman Marine Park. 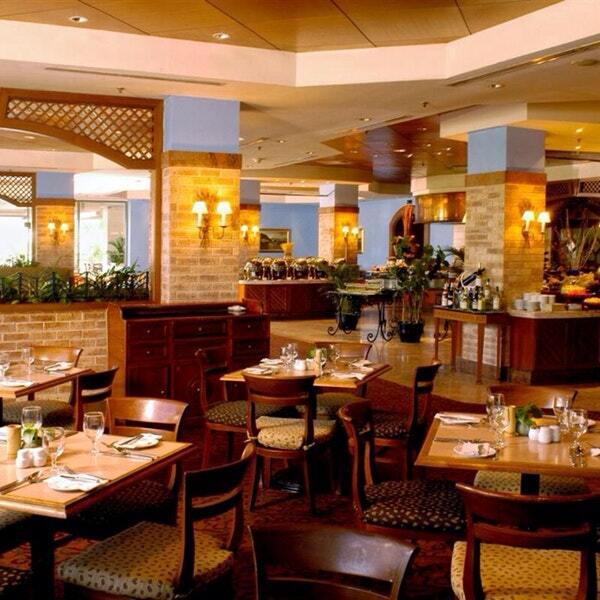 Café Boleh serves a wide selection of Western and Malaysian dishes a la carte. 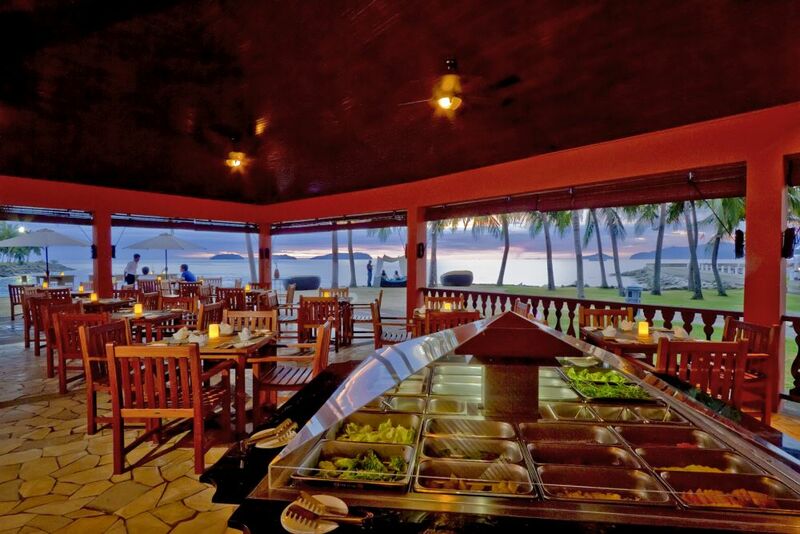 The renowned buffet options are available daily with elaborate indoor and outdoor set-up, making Café Boleh a popular dining venue for both guests and locals in Sabah. A place to relax in the sun, have fun and listen to the latest hits, Waves Pool Bar is set against beautifully landscaped gardens on the edges of the ocean with magnificent views of the entire resort and the tropical islands in the horizon. With a swim-up bar and poolside seating, Waves offers a wide range of alcoholic and non-alcoholic beverages and local and international delicacies. Situated by the swimming pool facing the wide blue ocean and its tropical islands, Breeze enjoys a chill-out atmosphere with the best sunset view in town. The open-air a-la-carte restaurant is complemented by a dining menu that includes tempting signature cocktails. Breeze Weekend Fiesta, every Friday, Saturday & Sunday from 6 pm onwards is something to look forward to with succulently grilled offerings such as beef, chicken, lamb and sausages barbecued over hot charcoal, cut and served at your table PLUS fresh seafood starters and refreshing garden salad as well as a live fire-eating show. Include FLIGHT + 3D2N: From S$490*per person! Exclude FLIGHT + 3D2N: From S$270*per person! Include FLIGHT + 3D2N: From S$535*per person! Exclude FLIGHT + 3D2N: From S$315*per person!